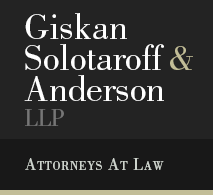 On June 26, 2018, Giskan Solotaroff and Anderson LLP filed a complaint against JUUL on behalf of a 15-year-old, D.P., and his mother. The complaint details that after being introduced to JUUL in during his freshman year, D.P. became addicting to vaping and nicotine. In it, attorney Jason Solotaroff states: "D.P. has been unable to refrain from JUULing. D.P. is severely addicted to nicotine, which has altered his brain physically and chemically, and has put him at risk for a lifetime of life-long health problems, to say nothing of the economic costs of nicotine addiction." Since it's release, the Center for Disease Control and Prevention has reported numbers of high school students smoke using a JUUL have steadily increased. GSA has heard stories of students other than D.P. who cannot seem to avoid the use of JUUL cigarettes on their school campuses and have become addicted to nicotine themselves. This does not come as a surprise due to the ease that minors are able to buy JUULs and JUUL pods and due to the company's heavy social media presence. On July 24, Massachusetts' Attorney General, Maura Healey, announced that the state would begin an investigation on the company due to determine its practices of targeting minors and enticing them to use their device. In the press conference she stated, "they're engaged in an effort to get kids addicted, to get kids hooked, so that they'll have customers for the rest of their lives." Good Morning America covered GSA's JUUL case and featured other high school students who have become addicted to using the vaping device. Attorney Jason Solotaroff spoke on JUUL's widespread use in schools and the ease of developing an addiction. If you have questions on the case, please contact (646)200-6265.